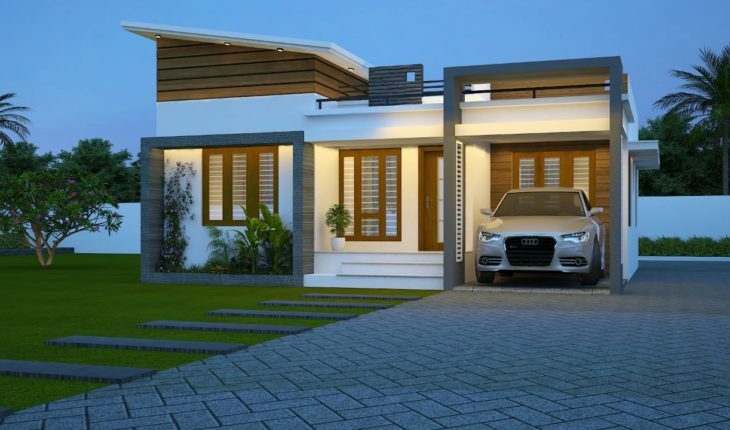 For s small family, a modern single storey house like this would be a perfect fit. 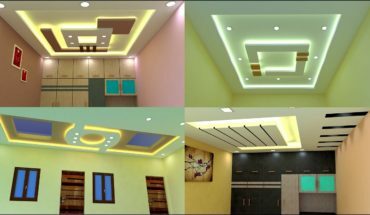 It has all the facilities needed to make living comfortable with in the parameters of 1400 square feet. It has long sit out that makes this a stunning beauty at such a large area. Certain portions of the outside walls are designed with a unique blend of stones that matches exceptionally well with the roof and windows. Some edges of certain walls are embedded with granite. 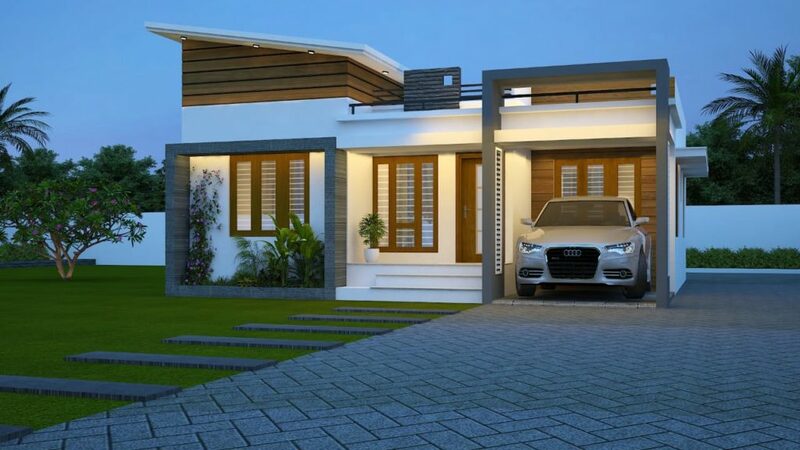 The design of the house is box type with flat roof. This single storey house includes a solid parking spot, sit out, living and dining area, kitchen and work area. It host 3 bedrooms with 2 attached bathrooms. 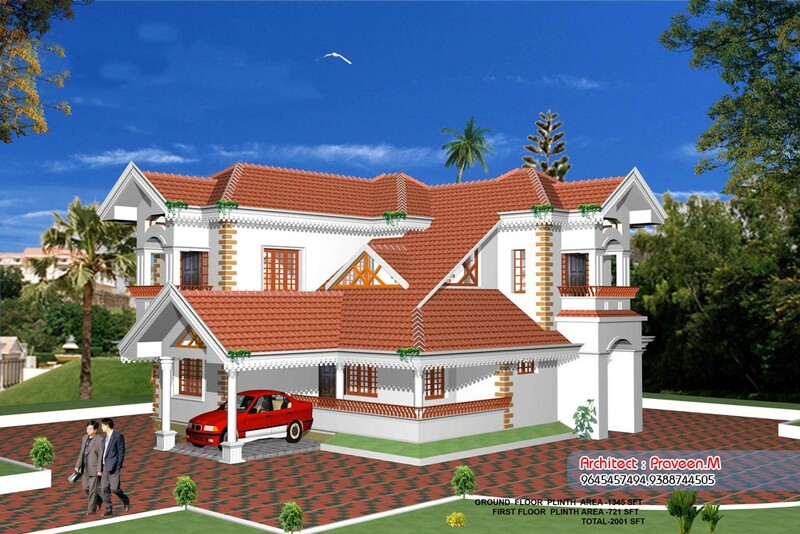 This contemporary house design will allow you to use maximum space within a comfortable construction cost. 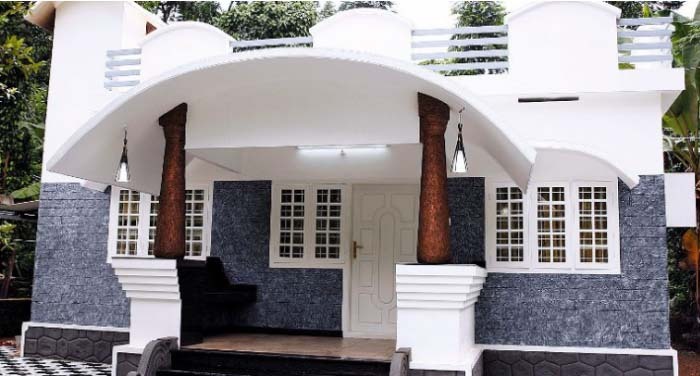 The construction of the house including the structure was completed on a low budget of 20 lack.